Enjoy a range of quick social competitions run throughout the day, with a bunch of games to give away to lucky participants. Head on over to Competition Central in the Demo Hall for your chance to win some cool prizes! 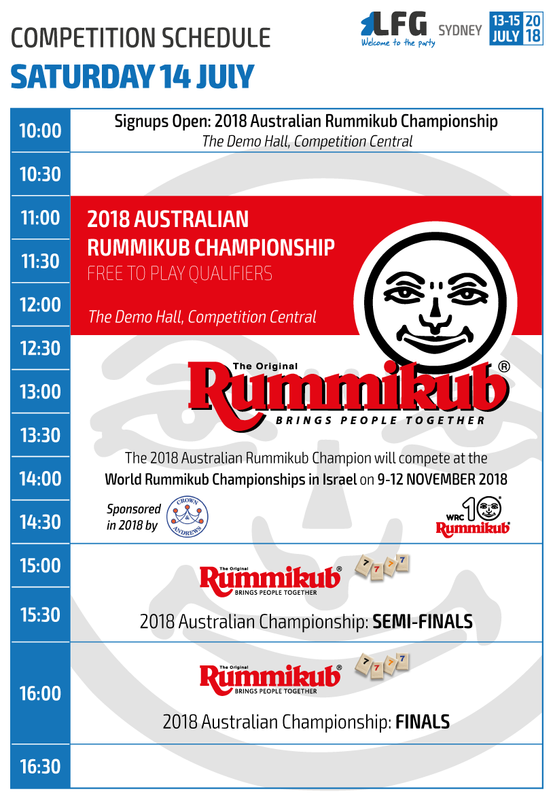 2018 Australian Rummikub Championship @ Competition Central: Registration essential. Sign up for the free-to-play qualifiers on the day at Competition Central. Please arrive at least 15 minutes prior to your round start time. 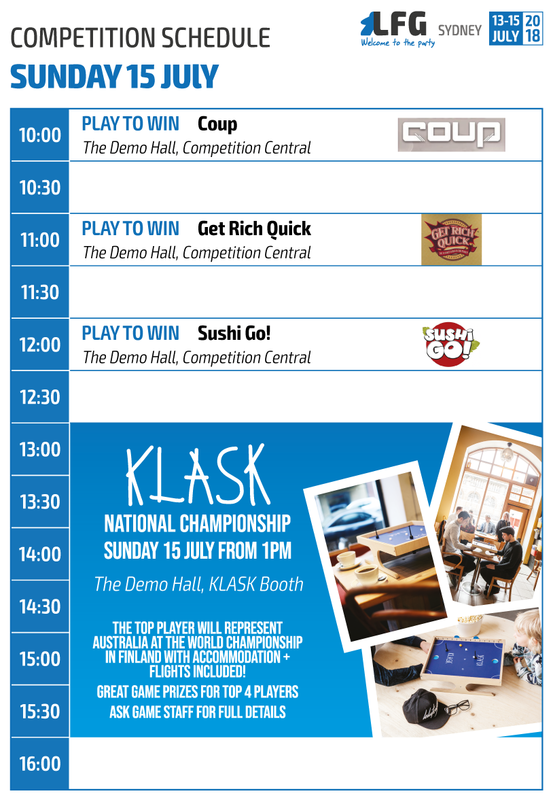 KLASK Australian Championship @ the KLASK booth: Registration essential. Please arrive at least 15 minutes prior to the start time. Play To WIN Mini Tournaments @ Competition Central: No registration necessary, just arrive a couple of minutes before the scheduled start time!